The Stinger goes way back to the early 1900s. With creme de menthe and brandy as the two ingredients, it sounds very old-fashioned and high society. But it’s absolutely made for after dinner sipping on a chilly autumn evening. 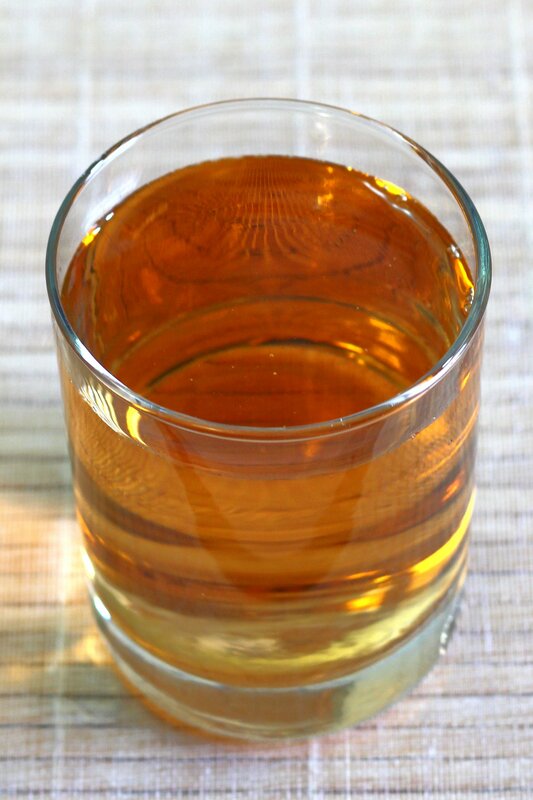 The best Stinger will use a high quality VSOP cognac, but a mid-range brandy will do just fine, too. The Stinger really is best enjoyed by itself, or – I’m told – with a cigar. The cigar has been mentioned by more than a few readers, so it’s definitely something that comes highly recommended. 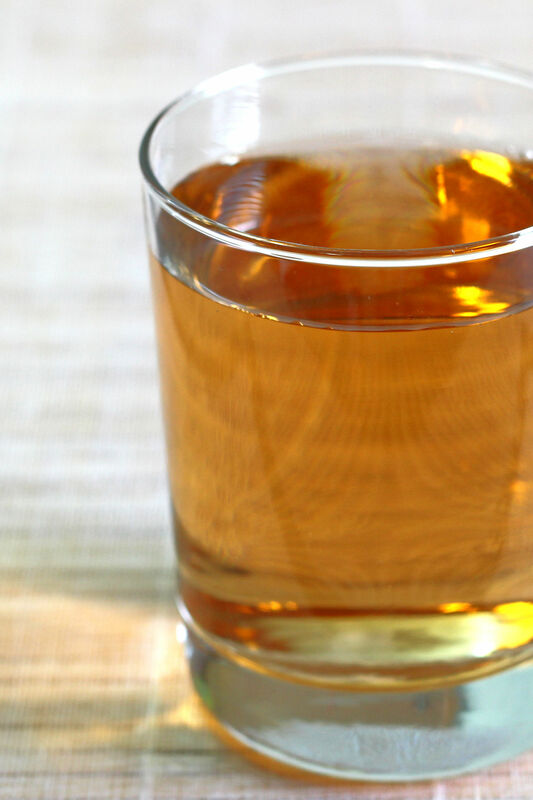 It also makes a great after dinner drink – it tastes like a lightly sweet dessert. But with no mixers and pure alcohol, it’s also a good, strong drink. Unlike, say, the Grasshopper, which features creme de menthe as a big part of the flavor, the mint in this drink is not so prominent. It blends into a whole new flavor with the brandy. It’s not so easy to find foods that go with a beverage that tastes strongly of mint. But if you want to enjoy this cocktail with a meal, try this Easy Mint Chimichurri from Mama’s Highly Strung. The fresh mint in the recipe will enhance the mint flavor from the creme de menthe, and the spicy red pepper and garlic will contrast nicely with your brandy or cognac. If you don’t enjoy creme de menthe, you may not like this drink, and that’s fine. But you may find it worth your time to make your own creme de menthe, in which you can have a stronger or weaker mint flavor, make it less or more sweet, etc. This recipe from Tablespoon is just a vodka infusion that’s very easy to make. The green food coloring is optional – for this drink, you want white creme de menthe because brown brandy and green liqueur would make a fiercely ugly looking drink. If you enjoy this one, try the Moscow Mule, which is all peppermint schnapps and vodka. Shake the ingredients in a shaker full of ice, strain the mix into a cocktail or old fashioned glass, and serve. No food pairings come to mind, but this is a great accompaniment to your favorite cigar. Goes nicely with a cigar. This is one of my favorite drinks. The better the brandy, the better it is. Even without the cigar. that’s where my poarents told me i came from.